The Sultanate of Oman, with a land area of just over 300'000 square kilometers, is the third largest country on the Arabian Peninsula. Over 80 per cent of Oman's territory is desert but it contains large reserves of oil and natural gas. Oil-related activities account for almost 40 per cent of the country's GDP and have contributed strongly to economic development. Nonetheless, over half of Oman's population is still involved in agricultural activities. This becomes apparent once outside the more developed part of the country centered around the capital, Muscat. About an hour away from the capital, goats seem to outnumber people. Over 80 per cent of Oman's territory is desert. One of Oman's some 700'000 goats. In rural areas, goats seem to outnumber people. More than half of Oman's population is engaged in agricultural activities. Until the recent rise, stagnation in oil prices had led to a fall in per capita income, pointing out the danger of over reliance on a single commodity. The government is thus keen to diversify the economy. Its Oman 2020 vision calls for increasing the role of other sectors. It is hoped that, by 2020, the contribution of crude oil to GDP will be less than ten per cent. A step in that direction has been the creation of economic zones-called Industrial Estates-that clusters primarily ma nufacturing companies together. Six Industrial Estates have been created that offer some 200 companies a comprehensive package of incentives such as tax breaks and subsidized rentals. In addition, transport and communications infrastructure and facilities such as schools and shops are also provided in the Industrial Estates. The Public Establishment for Industrial Estates (PEIE) is the government-owned agency that manages Industrial Estates. Recognizing the growing role of Information Technology (IT) in both manufacturing as well as an industry in its own right, the government has plans to create an IT Park designed along the model of the Industrial Estates. Indeed, PEIE has taken the lead role in drawing up the plans for the IT Park, based on a United Nations for Industrial Development Organization (UNIDO) study. The design of the IT Park has been completed and ground breaking is scheduled for September 2001. It will be ready for tenants by July 2002. The IT Park is to be located three kilometers from Rusayl (location of the largest Industrial Estate containing the biggest conglomeration of companies in Oman) and only ten minutes from Seeb International Airport. Covering some 300'000 square meters, the IT Park is divided into three parts: offices for software companies; a training center including an IT college (to be built by the private sector); and services such as shopping, a food court, health club, etc. Oman's location-just across the Arabian Sea from India, next door to the other Gulf States, and close to the Horn of Africa-plays an important role. One objective of PEIE is to attract companies who want a gateway to East Africa, the Gulf Cooperation Council and Yemen. It is hoped that the brand recognition of Omani products-for example the most famous milk powder in Sudan comes from Oman-and a reputation for quality will help software exports. Another plus is language; most Omanis speak both Arabic and English. The large number of expatriates and closeness to Iran and India also means that significant portions of Oman's inhabitants are also familiar with Farsi and Hindi. The Sultanate's closeness to India is evident from the large number of Indian workers. India's success in developing its own software industry has had an influence on Oman's IT Park and Omani officials have visited Indian software parks and obtained ideas. In fact, a team of Bangalore-based Indian architects designed the sleek, glassy, 3-story multi-domed IT Park. Developing the needed human resource skills for the IT Park will be crucial to its success. One factor that should help is that the IT Park is just 1.5 kilometers from Sultan Qaboos University (SQU), Oman's only public institute of higher education. SQU offers degrees in Information Systems and Information Engineering. To ensure a steady supply of programmers, an Omani-Indian company plans to establish a university-the Middle East College of Information Technology-in the heart of the IT Park. This private-sector initiative will offer Omanis and other Gulf students a bachelor's degree. Plans are to open in September 2002 with an intake of 500 students. The IT Park will have state-of-the-art communication infrastructure most of which will be provided by the state-owned telecom company, OmanTel. Fiber optic cable will extend up to the IT Park (the availability of fiber will be no problem since the only fiber optic cable plant in the Middle East is located at Rusayl). The IT Park will have its own 1'000 line telephone exchange. It is planned to provide 155 Mbps of bandwidth to the desktop over the IT Park's Local Area Network. Just in case, there will be a powerful uninterruptible power supply. 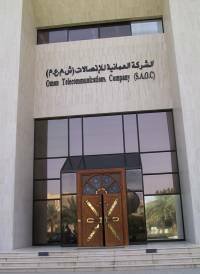 Oman first connected to the Internet in January 1997 with an initial one Mbps link. As of May 2001, international connectivity stood at almost 30 Mbps. There are 33'000 Internet subscribers or almost 100'000 users in the country (just over 4% of the population). One barrier is the shortage of PCs in homes. Although over half of Omani homes have a telephone line, less than 10% have a PC. OmanTel is launching a program to facilitate the purchase of home PCs. Other goals include raising the level of Internet access in schools and providing broadband local access. Incentives for companies locating at the IT Park will be similar to those for the Industrial Estates. These include tax holidays, exemptions on import duties, subsidized rent, visa facilitation for expatriates, clearances and 100 per cent foreign investment. In addition, some special inducements for the IT Park include an initial lowering of the cap for Omani employees (normally 35%, reduced to 10% for the IT Park) and discounts on network access. Nonetheless it is hoped that the IT Park will create employment for IT skilled Omani nationals as well as serve as an incubator for Omani dot.com start-ups. Tele-working is another possibility as there is a large number of highly educated Omani women who are potential employees but who would prefer to work from home. A major goal of the IT Park is to develop software for export. This includes customizing applications for the regional market and Arabizing software. There are already some precedents in this area. For example, Medicom, an Indian-Oman medical software company, has exported its hospital management system to South Africa, Saudi Arabia, Qatar and India. There is also expected to be a lot of work developing local applications. For example, there is an Omani e-government committee chaired by the Minister of National Economy, which is expected to propose a number of projects. Another area is education where the Ministry of Education has proposed the development of a student database.